Stephen Durham, who ran for president as the Freedom Socialist Party candidate in 2012, has heard from the media more in the last few months than he did four years ago. No, Durham’s not mounting another candidacy. People want to get his opinion on Bernie Sanders, the Socialist Democrat running for president as a Democrat. Friend and foe alike have called the 74-year-old silver-haired Senator from Vermont an outright socialist. And who better to ask if Sanders is indeed an honest-to-God socialist than a socialist (or since many socialists are atheists, an honest-to-goodness socialist). 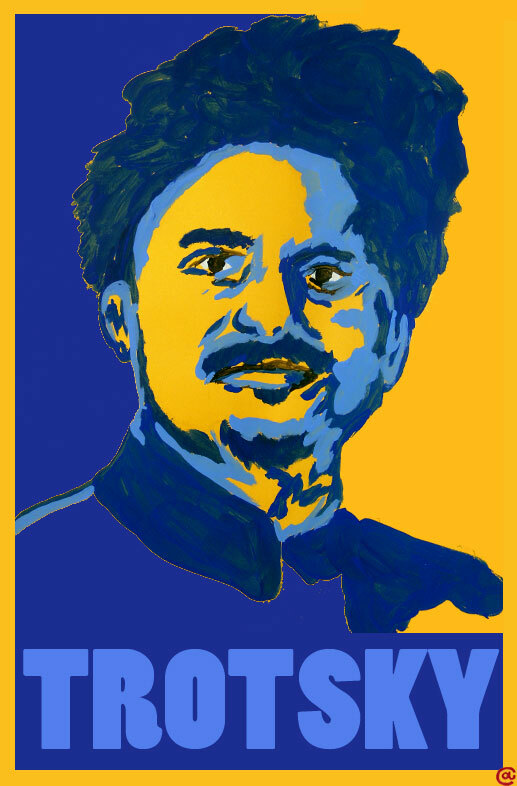 Gina Petry, a Marxist, feminist organizer for the Freedom Socialist Party and the Radical Women, recently delivered a research paper to her party contrasting the differences between Sanders and Leon Trotsky, a Marxist revolutionary; theorist and commander of the Red Army during the Russian revolution. “Most activist socialist parties that exist today came out of the Trotskyite movement, although there are many variations,” Petry explains. To simplify things, Trotsky and Vladimir Lenin were the “good guys” of the Russian revolution (some scholars at the time thought the revolution would serve as a model to the rest of the world), before Joseph Stalin, the Communist dictator took over. With the Cold War and the red scare of the ’50s distance memories, a recent Gallup poll shows that 63% of people under 30 have a positive view of socialism. A total of 56% of people who plan to vote in the Democratic presidential primary have a positive view of socialism. To answer the question of whether Sanders is a socialist, the word socialist needs to be defined. In a purest socialist system, the workers are in control and wealth is re-distributed to those who do the work. In a capitalist system, the richest people, the Donald Trumps and Warren Buffetts, are people who primarily own things. Of course, Sanders doesn’t call himself a socialist, although he doesn’t quite deny it either (he must be pretty weary of the whole discussion at this point). Just like he did at a Georgetown University speech last week, Sanders always calls himself a “social democrat.” Sanders even called himself as much of a socialist as Dwight Eisenhower, a reference to how the rich were taxed more under the Republican Eisenhower. Social Democrats or Democratic Socialists, advocate a democratic political system and a socialist economic system. Social Democrats major issues are universal healthcare, climate change, campaign reform, and perhaps most importantly, income inequality, the erosion of the middle and working classes and raising taxes on the rich (which most Americans now support). Scandinavian countries like Sweden, Norway and Denmark have thrived in recent years under a social democracy. Sanders belonged to the Young Socialists while attending the University of Chicago. He then ran successfully as an independent to become the two-term Mayor of Burlington, Vermont. Sanders may have been more of a socialist then, a picture of his hero, labor leader Eugene V. Debs graced his desk. He traditionally worked with Democrats in the Congress and the Senate (and at the local level with people like former Vermont governor Howard Dean), but last March announced that he would run as a Democrat for the first time in the presidential primaries, ostensibly against Hillary Clinton. The Vermont anti-war group, Code Pink, labeled Sanders, “Bomber Bernie,” after his support of Bill Clinton’s “humanitarian” bombing of Yugoslavia. Sanders had protestors arrested who came to his office that day, and also called the state police when members of Occupy Vermont interrupted a Town Hall where Sanders was speaking in 2014. That group was protesting Sanders’ failing to speak out on Israel’s attacks on Gaza (he didn’t sign on to a Senate resolution supporting Israel at the time, either).